Finding a business partnership at the conference is most likely on all of your “making the most of TBEX” lists. 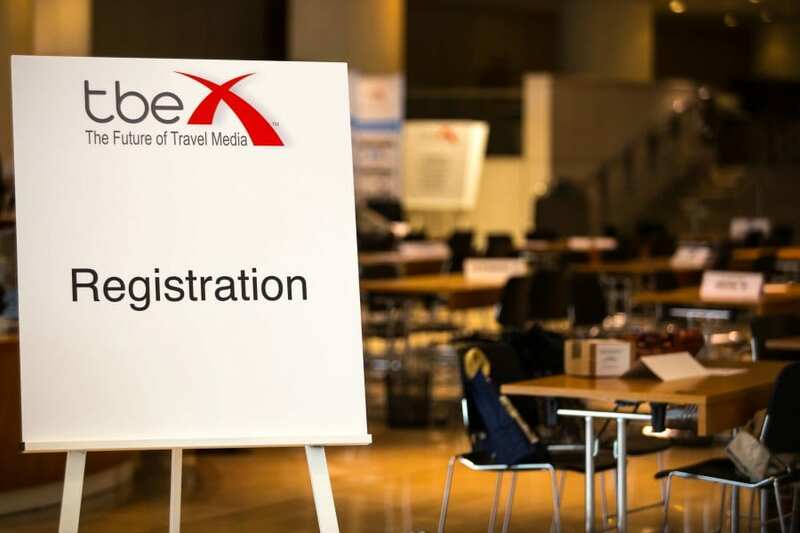 TBEX is a fantastic event to meet like-minded professionals, exchange ideas and get inspired. However, getting a job, and therefore a return of the investment you made when buying the tickets, is probably your top goal. Right? I have attended last year’s TBEX Europe in Athens as a company representative for DISCAVO and am also a travel blogger myself. I want to combine my experience from last year´s TBEX with what I know about being a travel blogger to provide you with the ultimate list of how to make the most out of TBEX. Know yourself – Get ready to pitch your blog and yourself in one minute: Who are you and what is your background ? What is your blog about and how do you differentiate from other travel blogs? From a company’s perspective, key performance indicators (KPI´s) are very important. Know your numbers by heart: your page views/visitors per month and your Social Media numbers. A printed Media Kit is a must-have to hand out to the company’s representative, including your contact details of course. Know the company – Do research about the companies that will attend the conference and in- depth research about the companies you have scheduled a meeting with. You should know what they do and ideally have some ideas about how you could work with them. Your 8 minute speed networking appointment can be short, made even shorter if the company’s representative has to explain what the company is about from scratch. Last year, I met some bloggers who had done their research very well. We managed to end the appointment with a handshake confirming a partnership that we discussed in only eight minutes. That´s what I call a successful meeting! How to excel at meetings – Good preparation and research is the basis of a successful meeting, then it´s all about how you sell yourself! When you arrive at the conference, check out where the various sponsor tables are located. The speed network schedule is tight, and you don’t want to lose time by getting lost and being late to a meeting. Also, stop by and say hi before your meeting! Why not introduce yourself beforehand and tell the company you are looking forward to the meeting? That will leave a good impression, for sure. During the meeting, listen to what the company’s representative says and try to find out what you can do for them and pitch some preliminary ideas. Closing the meeting by quickly figuring out how to proceed – maybe a Skype call the following week? How to excel at networking with companies – You didn’t get the appointment you wanted very badly? You can still make use of the at networking events happening around TBEX. Address the company’s employee by telling them what you like about the company (you have your research done) and briefly telling them why you would love to get to knowmore about them (showing you are interested in a partnership, but also that you don’t sell yourself under value). Addressing someone at a networking event compared to at a meeting is different. It is not so much about numbers and facts, more about finding out if you have the same vision. Get in touch – Follow up with the company´s representative you met with a personal email. Point out something you talked about/ something you laughed about so that the s/he remembers you. Last year a blogger forgot her notebook after our meeting. I ran after her to give it back. She emailed me “thank you so much for returning my notebook! It was great meeting you”. I immediately remembered her. Quickly summarize what you talked about and how you decided to proceed. An example: “we discussed the opportunity of me writing an article about travelling with kids in Spain for your corporate blog. To discuss further, we decided to set a Skype call. How does Tuesday next week sound to you?” Take actions! I am looking forward to meeting lots of you at TBEX and having great and productive meetings. Hopefully this small guideline will help you to make your way around TBEX successfully. I am excited to talk to you about how this article helped you and especially what you would recommend to us company representatives in exchange. Let´s all make the most of TBEX, network, exchange ideas and have fun! Author Bio: Felicitas is the Content Manager of DISCAVO, a Berlin-based hotel price comparison. The company´s content strategy is the City Guide; presenting cities around the world “through the eyes of locals”. Every month one City Guide is added. DISCAVO works closely together with travel bloggers. Follow them on Twitter, Google+, Facebook, and YouTube. DISCAVO is a sponsor of TBEX Europe 2015 in Lloret de Mar. Great tips! I did make some great contacts at TBEX Athens, and researching the companies beforehand really helped. Very helpful article – hope to put it into practice for TBEX in Lloret del Mar in a couple of weeks! Thank you so much for putting these tips together. I am going for my very first TBEX in Costa Brava this year and of course I want to make the most of it. I know DISCAVO is present this year, but are you too?